East Lancashire Box Company is equipped with the latest printing, folding, manufacturing machines and technology to provide you with the best, premium shelf ready packaging. Unlike other companies we do everything on site, from design to printing to cutting to glueing and finally suppling. We are a complete package. Each print run is measured, recorded and stored in the computer using a spectrometer. We use the spectrophotometer throughout the process from the ink technician to the print operator producing the trays guaranteeing colour consistency continuously. We have an automatic ink dispenser allowing us to formulate and produce our own inks in-house with complete control of colour. By using the spectrophotometer we guarantee accurate colours further than the eye can see. We have our own fleet of wagons to enable daily deliveries to our customers along with a transit van (the flyer) for meeting the emergency needs of our customers. All palletisation is done to your individual specification. Used to design and produce examples of our packaging to check it meets the needs of your products. 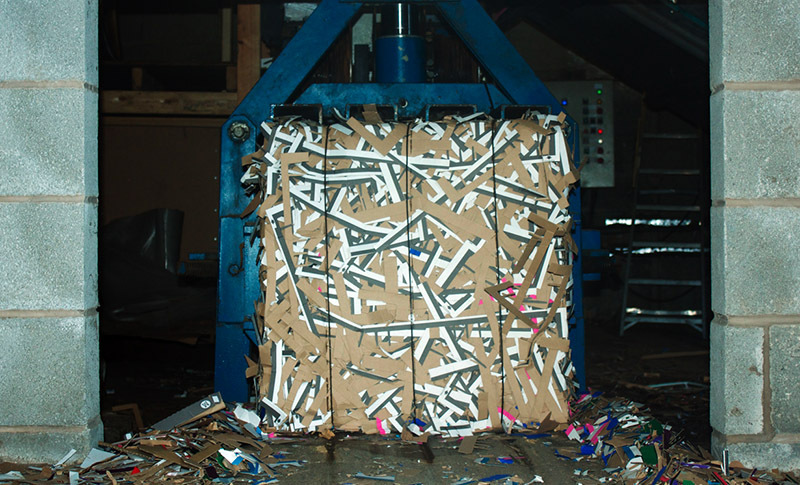 Automatic bailer to recycle all waste cardboard. last year we recycled 350tonnes. Gluing four corner glue, straight line or crash lock, we can go down to a width of just 55mm.